Structured cabling standards define how to design, build, and manage a network cabling system that is structured, composed of blocks that have very specific performance characteristics. These blocks are integrated in a hierarchical manner to create a unified communication system. The standard defines the use of UTP (unshielded twisted pair) cable, STP (shielded twisted pair) cable, and fibre-optic (single and multimode) cable. All network outlets terminate at a central patch panel that is normally rack-mounted in a communications cabinet, typically using Category 5e, Category 6, Category 6a or Category 7 cable, and modular sockets. Each outlet can either be patched into a data network switch or patched into a voice patch panel that connects to a PBX telephone system, creating a voice port. 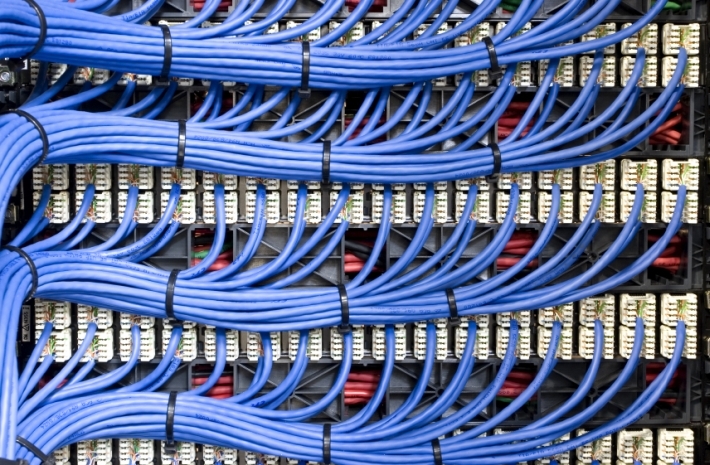 Structured cabling provides the flexibility that enables changes to be made quickly and easily. Larger organisations may have many communications cabinets in one equipment room and have many equipment rooms throughout their building or site. Normally these equipment rooms are linked by fibre-optic cable. Ultima has extensive experience in the provision of structured cabling solutions for organisations of all sizes and is highly regarded for its workmanship and for delivering projects on time, every time. We provide a warranty on our structured cabling installations of 20 years or more, depending on the cabling manufacturer, and provide test results for every network point installed. Ultima has Certified Installer status of Siemon structured data cabling. Established in 1903, Siemon is an industry leader specialising in the manufacture and innovation of high quality, high-performance network cabling solutions. Ultima is a Silver Partner of Aastra Telecom, an award winning manufacturer of telephone systems. We supply and install Aastra Telecom’s Intelligate range of business and office telephone systems throughout the UK. A structured cabling system should be a long-term investment. Trust Ultima to design, install and maintain a network that will meet your organisation's current and future network requirements. Call us today on 01892 785000 to discuss your project or please fill in the contact form below.